What are the Myprotein Padded Lifting Straps? The Myprotein Padded Lifting Straps are a robust design for a secure grip whilst lifting heavy loads such as dead lifts and bent over rows. The Myprotein Padded Lifting Straps are durable and provide a secure grip whilst lifting heavy loads. Who is the Myprotein Padded Lifting Straps Suitable for? The Myprotein Padded Lifting Straps are ideal for anyone taking part in intense training sessions that involve heavy lifting. 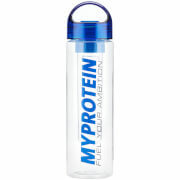 Ideal for use when performing heavy lifts such as dead lifts. EASTER WEEKEND SALE. 40% OFF. We've got you covered this Easter Weekend! Offers subject to availability and exclusions apply. I have really small wrists, which is why I think I needed these guys to start with buuuut, they’re too big for me. These straps work very well especially at the price point. Have no problem using 150lb dumbbells for sets of 12 on rows without much discomfort. Haven’t used for super heavy dead’s yet but I find it hard to believe they wouldn’t hold up. The lifting straps are sturdy and easy to use but I find they're a bit slippery. I definitely need to use them carefully but they work so that's fine, especially for the price. I recently ordered lifting straps and I'm completely satisfied with the product. They are well constructed and I know I'll get many years of use out of them. Service, as always, was excellent. I purchased these to increase my dead lifts as my gym doesn't allow chalk. As I was going up weight my grip strength was going up as fast as I would have liked. Which is why I purchased these and I love the way they feel and the padding on them are great. My only problem to these is they don't have any instructions. I had to go on youtube to figure out how to set them up for my hands. I would suggest putting in a piece of paper that says which way the straps should be facing. Like they should be going between your thumb and index and not towards your pinky. 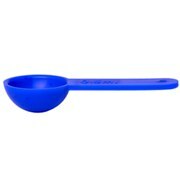 But still a great product and suggest buying it if your strength isn't on par with your lifting. The best product to prevent calluses. I love lifting straps because i can increase my deadlift weight and prevent calluses at the same time. These lifting straps are very durable! They are padded, making for extra comfort on the wrist when lifting heavy weight. Doesn't allow a failing grip get in the way of making sure you complete your reps!! 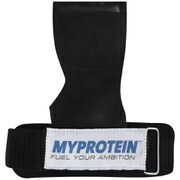 A must have for any bodybuilder, MyProtein lifting straps are the best I've had. Very nice lifting straps! The padding is great. Very useful for deadlifts! I just have to say these are the most comfortable straps I have ever used. The padding is excellence, the grip the straps give is phenomenal. Whenever I go to the gym, these are an essential. As they say, straps for the booties that clap.